Jessica Kemp may have began her journey in professional sports, but deciding to make the leap into the financial industry was one of the best decision she has ever made. This month, Partner of Kemp Financial Group Inc, Jessica Kemp was featured in Wealth Professional Magazine. Two years into the business, Jessica decided that it was time to incorporate her practice into Kemp Financial Group. Partner and brother Mike Kemp joined forces in 2011, and have worked diligently to brand and create recognition for their company throughout the community. Jessica has been able to share her passion for the industry through public speaking and creating educational videos for HOOPIS. Jessica also reveals, “As a part of my continued dedication to my clients and my business, I have chosen to spread my passion and experience to other advisors that are doing exactly what I do! Be it young people entering the business, or more tenured people wanting some extra motivation to take their practice to the next level, the speaking really motivates me to help others grow as advisors. Jessica and Mike provide sound find advice and expert financial services, that will help grow and protect your wealth in the most tax efficient way possible. 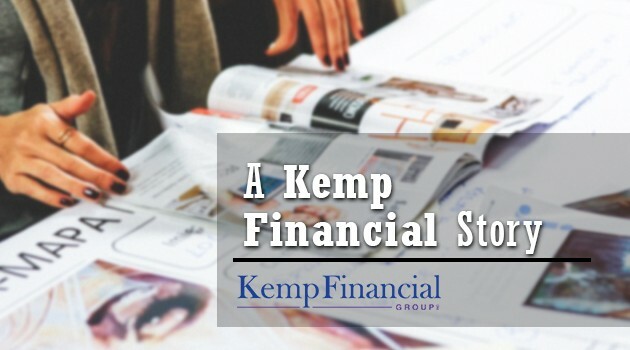 With over 100+ years of combined experience within the family, Kemp Financial Group understands that Canada’s economy is dependent on the health and wealth of our clients and communities. Connect with Jessica directly on LinkedIn here.